How do I book a golf package? Call us toll-free at (888) 833-7707. We would be happy to discuss what package will work best for you! Use our Build A Trip feature that allows you to get a quote online. What is included in a golf package? How can I contact My Golf Vacation? Can I book "Golf Only" packages? Absolutely, let us know and we would be happy to setup your golf. Can we pay for our trip online? Yes, all you need is the package number and password then log-in HERE to pay for your trip. If you have any questions about setup of payment call us! How can I view my itinerary for our trip? Log-in HERE. 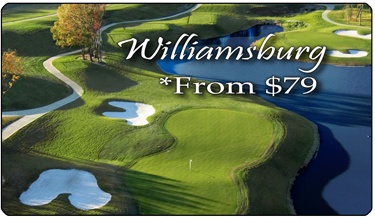 Click on "View Details" for the package you chose to view tee times and lodging. How do I receive my tee times and lodging reservations? When you book a vacation a golf coordinator will make tee times and lodging arrangements for you. Your trip information will then be updated in your log-in screen as we receive confirmation, then after final payment for your trip has been made we will release vouchers for your travel. When will we receive vouchers for our trip? After all payments have been made and we have reviewed your final itinerary, we will release vouchers 2 weeks prior to arrival. Is there a dress code requirement? Generally there is a requirement from most of our golf courses that golfers wear a collared shirt. No denim is allowed at any of our locations and the majority of our courses are soft spike facilities only. 1. Online Pricing: While Golf Excursions LLC makes every effort to provide you with the most accurate, up-to-date information, occasionally, price stated may be inaccurate on our website. If an item's correct price is higher than our stated price, we will cancel your order and notify you of the price error and order cancellation. You will, of course, have an opportunity to purchase the item at the correct price, if you so wish. While we make every attempt to verify prices before charging you, Golf Excursions LLC reserves the right to refuse or cancel any orders placed on mis-priced golf packages whether or not the order has been confirmed and you have been charged. If your credit card has already been charged for the purchase and your order is cancelled, Golf Excursions LLC will immediately refund the total purchase amount to your credit card account. 2. Deposit to Book Trip: If your group is 8 or larger we request $100 deposit per person for a trip planned more than 30 days in advance. 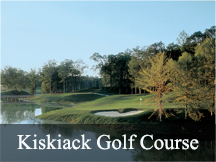 If your group is 8 or less we request one golfer make their portion of the trip to reserve the trip. In some cases vendors may require a larger deposit (i.e. Robert Trent Jones Golf Trail, cabin rentals) so we may request by email or phone call additional payments to satisfy vendors. If customers are not able to pay additional money then we will refund the customer immediately. Golf Packages booked 30 days or less from trip arrival, will require full payment upon booking. 3. Final Payment: Payment for remaining balance is due 30 days prior to trip arrival. Once final payment is received and we have verified that all reservations are setup, customers will be able to log-in to print golf vouchers and hotel confirmations for their trip. 4. Payment Method: We accept Master Card, Visa, and Discover. We also accept money orders and travelers, cashiers, certified, and personal checks. Final confirmation package is not sent until personal checks clear the bank. 5. Refund Policy Due to Rain: In case of bad weather, call the golf course and inquire if they are open. My Golf Vacation will only issue a refund if the golf course is closed on your scheduled day and time of play. If the course is closed, please call our office and let us know. Then, simply write “rain out or cold weather” on the voucher, along with the name of the person you spoke with at the golf course, and mail it back to us for a full 100% refund. If the course is not closed, My Golf Vacation has guaranteed a paid round to the course, and should you decide not to play you will be billed as a “no-show.” It is your responsibility to inquire as to the weather related refund policy at each course should your round be interrupted during play. 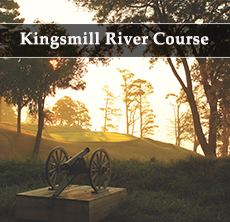 In most cases, the course will issue a “rain check” if you are unable to complete your round. It is the golfers responsibility to get a rain-check from the golf course. 31 days or more prior to arrival: $50 per person, along with any non-refundable fees. 15 to 30 days prior to arrival: $75 per person, along with any non-refundable fees. 4 to 14 days prior to arrival: $100 per person, along with any non-refundable fees. 3 days or less prior to arrival: No Refund will be issued. 7. Changes to Golf Package: If changes to golf packages are made more than 30 days prior to arrival, Golf Excursions LLC does not charge golfers an administration fee. In cases where a cabin or condo has been reserved, deposit may be lost due to a lodging non-refundable deposit policy. If a change is made to a golf package within 30 days, loss of deposit for cabin/condo may incur as well as a $25 administration fee. 8. Disclaimer and Responsibility Clause: Golf Excursions LLC (owner of myGolfVacation.com) acts only in the capacity of an agent in regard to lodging accommodations, golf course reservations, and transportation by sea, air, road or any means of transportation or local conveyance, and as such Golf Excursions LLC is not liable for personal injury, accidents, property damage, loss, delays/irregularity, or death at all times. All tee times and reservations are based on availability. In the event that a golf package, lodging, golf course is not available, we will make every attempt to book a golf package that is acceptable to the customer or refund without and paid fees without penalty. Also, in the event of change in itinerary due to factors or conditions beyond control such as strikes, political and social unrest, labor problems, climatic aberrations, or any act of god, there will be no credit, nor refund given to clients, however due to change a comparable alternative will be offered. Travel services such as lodging, tee times, and transportation performed by an independent contractor are on their own terms and conditions, therefore Golf Excursions LLC cannot be held liable for those providing services in the final itinerary. The acceptance of tour arrangements is deemed to be consent to the above, and the understanding that Golf Excursions LLC is not liable or responsible in any way whatsoever for any act, error or omission or for inconvenience, loss, damage, injury or death arriving out of tour arrangements.